Liz grew up in the Bronx with parents who were addicts. She was surrounded by challenges, but she always had dreams. 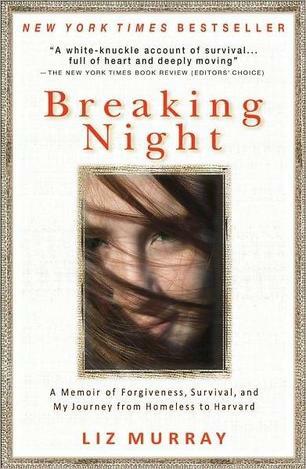 Liz describes her subsequent journey in her book Breaking Night. It was also made into a film called Homeless To Harvard: The Liz Murray Story. Murray’s ultimate goal is to create a coaching and seminar company that will work with groups, perhaps specializing in inner-city schools.